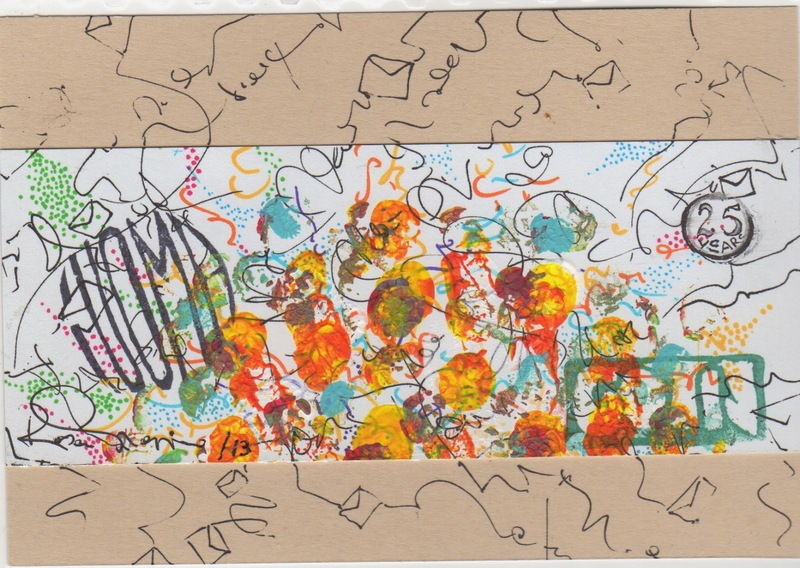 I wasn't even aware of the event… sometimes I sign up that I am 'attending' a mail art call and then I miss the deadline, but this time I wsn't even aware of it. So when I saw Rosa's photos I was doubly sad. I have always been a big fan of Rosa's work, and we've exhanged a bit. 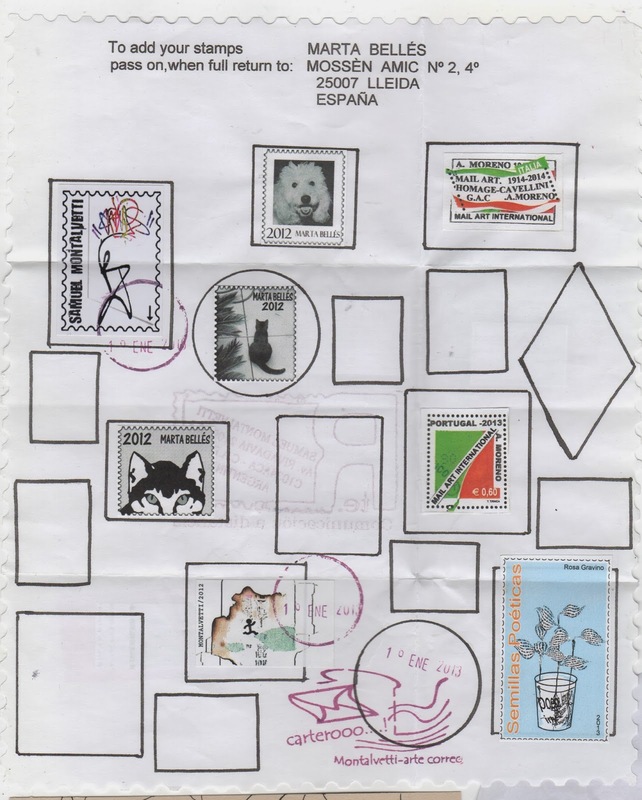 When I went through my mail art, considering who to include in my Colour of Mail art book for Cheryl's Encyclopedia of Everything, Rosa's work in Cheryl's Zine was so exciting that I had to have her in my book as an inspiring mail artist. (There were at least two handfuls of people I wanted to include because they too had inspired me, but alas…) Anyway, I sent Rosa a book and I guess it coincided with her show and I think I was included at the twelfth hour. 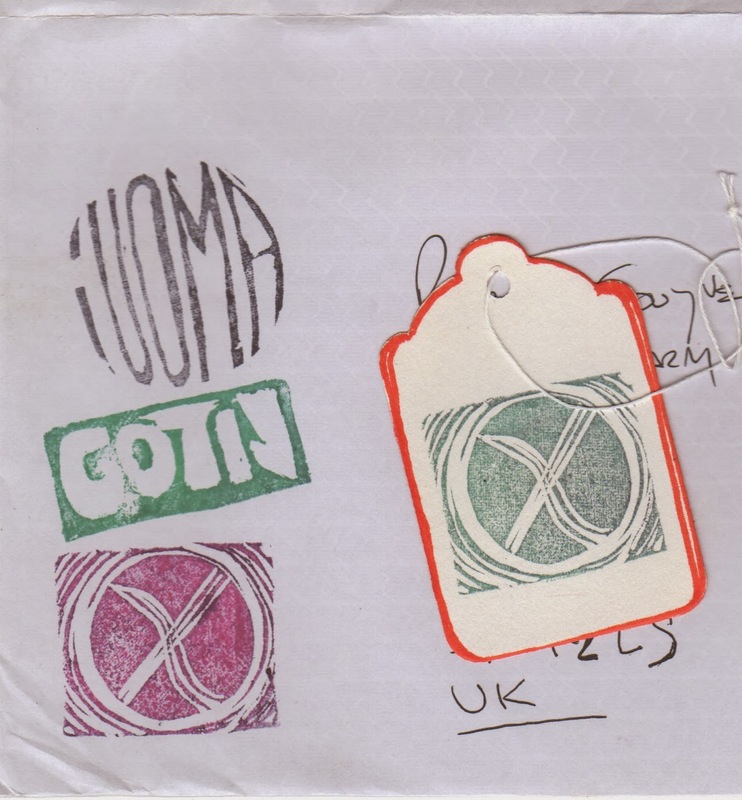 Fabulous to have some more VISPO from Rosa! 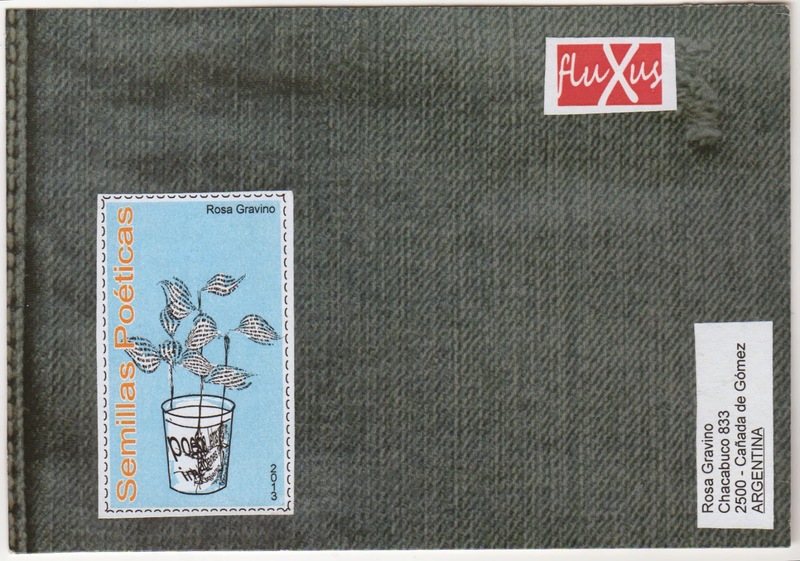 I will attach a few stamps and send the add and pass onto others, soon. Me encanta tu blog. Felicitaciones!